It is often said that the situations you encounter in life are those which you can handle. Life always throws you a curve ball which you’re able to handle, or maybe learn from. I faced one of these personal life changing moments last week, precisely last saturday when I had to get a blood test done. I’ve always been scared of getting “pricked” as I call it. I’ve been told countless times that a blood test is not a BIG DEAL. Just get it over with. But for someonr who is mortified, having been there and overcoming it somehow gave me a little bit of confidence that maybe I could handle the next curveball. One thing which is definitive of our society and all of us is the deep urge to be thin and look pretty. Somewhere down the line we let our waist size come in our way of defining beauty . And this, was precisely the curve ball coming my way. The last one is a sure shot way of changing your perspective of your body. I’ve realised seeing it very closely amongst people I know and love. The transformation that takes place when you elevate your body on a pedestal and put it to the ultimate test. And I want a taste of it too. I want to run my marathons too. The dilemma that faces me is the dietician. To do or not to do. To die or DieT in my words. What is a diet and why would you willingly torture yourself into starvation? No I hear. Dieticians give you healthier options. They make sure you are never hungry. You have to stick to a plan and follow it through. Maybe a few random misses allowed. But is this what I really truly want to get to the goal of a leaner body? And maybe a lot fitter too? The role of exercise is indisputable and yet the focus is so much on food. I believe if people exercised or rather trained for a marathon, everyone would be so fit because of the enormity of the goal, you just don’t become lax. I’m sceptical. What can the dietician do which my mother’s cooking of healthy food which I happen to love, can’t? I have cravings for food. I also keep thinking I’d eat, in moderation because if I died I wouldn’t want to have dieted and died by starving off what I felt like eating when I felt like eating. So then here I am faced with a choice. Not a choice so much as an experiment. Does it come down to the point where I die or dieT? Will eating a million times a day help oor will drinking all sorts of fancy concoctions do the wonders? Will it show results And how soon? Will I spend this entire year clasped in a plan and not move beyond? What is it finally then? Am I really charting my way to a certain glutton filled death or am I being salvaged by my dieT? Isn’t it odd how much fatter a book gets when you’ve read it several times?” Mo had said…”As if something were left between the pages every time you read it. Feelings, thoughts, sounds, smells…and then, when you look at the book again many years later, you find yourself there, too, a slightly younger self, slightly different, as if the book had preserved you like a pressed flower…both strange and familiar. A lovely thought for Valentines Day!! 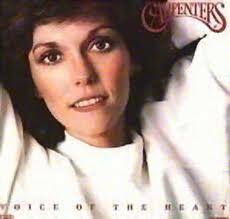 Yesterday Once More: Long Gone Karen Carpenter!! She’s long forgotten!! She died on 4th February 1983 and I am 2 days late in writing this post about how unabashedly sad I am about her untimely death!! Who is she and why am I dedicating a post to her? 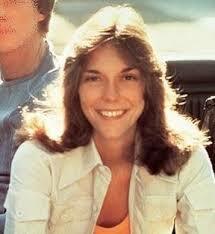 Karen Anne Carpenter (March 2, 1950 – February 4, 1983) was an American singer and drummer. 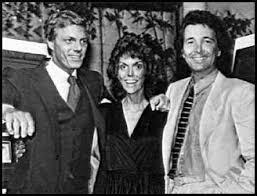 She and her brother, Richard, formed the 1970s duo, the Carpenters. Although her skills as a drummer earned admiration from drumming luminaries and peers, she is best known for her vocal performances. She had a contralto vocal range. This is what Wikipedia says about her. I discovered the Carpenters quite by accident. I was downloading some songs for my mother who loves their songs and when I listened to their songs, I absolutely loved them. They were so typical of the era, soft, mystical and clean. Mostly clean lyrics focusing so much on emotions. Karen and Richard made good music. They made music that could heal you on any given day. Karen’s magical voice could cut through all my misery, literally!! I am sure so many of you readers can resonate with these lyrics. They never fail to bring a smile to my face. The reason I am so very sad with Karen’s death was her ANOREXIA! In those days, people never came out with their eating disorders. Karen was not stunningly beautiful but she had this rare quality which drew you to her, if you saw some of her videos you would instantly realise!! She had this beautiful face and a very mature voice which is unbelievably melodious. And she died at the age of 33 because her heart couldn’t take the complications of over 14 years of crash dieting. This, precisely this made me feel so very sad. She was so bright. People still tear up mentioning her. I see so many fresh comments on her YouTube concerts where people say they miss her. It is impossible to ignore the people she touched in the short time she was here! The day I read about her death and saw her photos, saw what the disease had made her, the true extent of our society’s malaise struck me. Here was a perfectly good-looking woman who has a worldwide following. She felt the need to diet and to cause so much harm to her body. She felt she wasn’t good enough inspite of being so very loved and followed. It made me wonder about the people at the very common level. She was a star, undeniably. But what about you, me or anyone you know? Since when did we let a commercial or a shop sale, (= I feel a tremendous bout of guilt when I don’t find anything to buy in a sale!!) decide whether we were beautiful? And why was our society SO OBSESSED WITH OUR PHYSICAL LOOKS? That is how Karen looked a while before she died! A skeleton. Done in by our society’s warped ideals of what a man would want or what made us beautiful. It isn’t just by chance that I found this blog which was documenting Extremely Sexist Advertisements during the 1950s. It saddens me everytime I read about her death. Why do I read about it then? When it makes me so morose? To remind me that nothing that people say should drag me to the point of becoming like this. She was stunning. I would love to be in her place, jamming and cutting out albums. Doing world tours! But not like this. Nobody deserves to end like this! In a way, Karen’s death opened up the floodgates for research into anorexia and behaviours linked to food. The plethora of information that we have and the eating disorders which are so easy to diagnose today, are courtesy the death which shocked so many people all over the world! I can’t help get caught in the warped web of deception and the whole “I have to look Beautiful” line. But it helps to sometimes remember that if only someone could help Karen out the way there is help for anorexia or bullimia today, that maybe we would have had the very gifted and talented singer yet amongst us!! I do, I do take her loss personally!! It always seems as if she tells me to not take life too seriously! That I am beautiful no matter what. And if I was among people who didn’t endorse the view, then I needn’t get disheartened. This beautiful woman gives me the strength to not go down her path and to always love me! I don’t seek to advice or lecture about anyone’s sense of beauty or self-esteem. I just wanted to give Karen a tribute that the number of lives you have saved today, by the research spurned on after your death is monumental! And I can’t thank you enough! Wherever you are, I hope you are at peace and I really hope your songs continue to be played for years after!! As I close in on my first post dedicated to people who have changed my thinking, I leave you with lyrics from another Carpenters song called ‘Yesterday Once More’ which is also the title to this post. I selected that because I was bringing in yesterday here with me, once more, in remembering Karen’s contribution to society and her everlasting impact on music! Makes today seem rather sad, so much has changed. 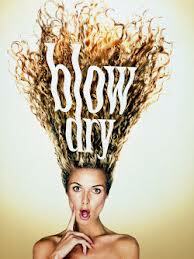 Epilogue: Just to show my recent internet searches about sexist vintage ads, some links!! Never doubt your beauty ladies!! We’re all special!! 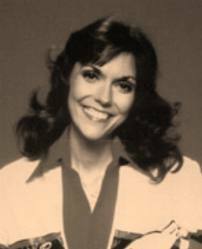 Author NMPosted on February 7, 2014 April 19, 2014 Categories TributesTags Beauty, Karen Carpenter, Life, Love, Thank You, Think, YourselfLeave a comment on Yesterday Once More: Long Gone Karen Carpenter!! There is something really alluring about a quiet night. It gives you time to heal. It gives you space. Mostly it is silent as you ponder. I’ve not fallen asleep immediately many a times. When I was small, there was a bright light outside my window. My mother used to say that Dracula would come and bite my neck if I didn’t sleep. And it didn’t help that I’d seen a movie where a hawk flies into a room, turns into a blood hungry monster and bites a rather beautiful looking woman. There is something special about looking out of the window. Especially when the world sleeps. There is calm. There is quiet. The night just encompasses you into itself and you can unravel there. Today is just one of the nights when sleep doesn’t come easy. Maybe it is exam stress, maybe a feeling of entrapment. The night doesn’t judge when I open the window. Cool air rushes in to replace the air suffocating me. There is not a soul stirring here. I close my eyes and breathe deeply. There is a marvelous change which happens when you just breathe. Most of today we spend short charging ourself and indeed breathing, labouring through. The night makes me want to breathe easy. It makes me want to live. I spent quite a while just breathing. Openly. Letting go of me. During the day our lives are all about ME. The nights become all about us. Such a subtle change. Yet such a vital one. A cool wind suddenly brushes through my hair. Sometimes I can feel the wind there when I felt I was alone. I think it tries to tell me to sleep. And that there would be another. I really do love nights. They make me whole. They make me love. Voices speak all around you. You shake your head trying to focus. It always feels like there is someone right by your ear whispering but no matter how much you try he does not go away. People smile at you and there is an awkward spasm. It never was so crowded here before. There are people moving with you when you walk. Dressed in sombre colours. Always pushing you.. Pushing you to do something more, making you feel you’re never good enough. Their long fingers trace patterns on your back as you sit trying to read the same book you’ve been reading for the past year. There is a restless, almost insane look about you. You move your feet restlessly waiting for something to happen. Everything that was your friend earlier now seems a foe. You want to throw those books lying everywhere, why do people read so much anyway?? That food in the cupboard, the smell nauseates you. You want to do yet your mind turns you away. 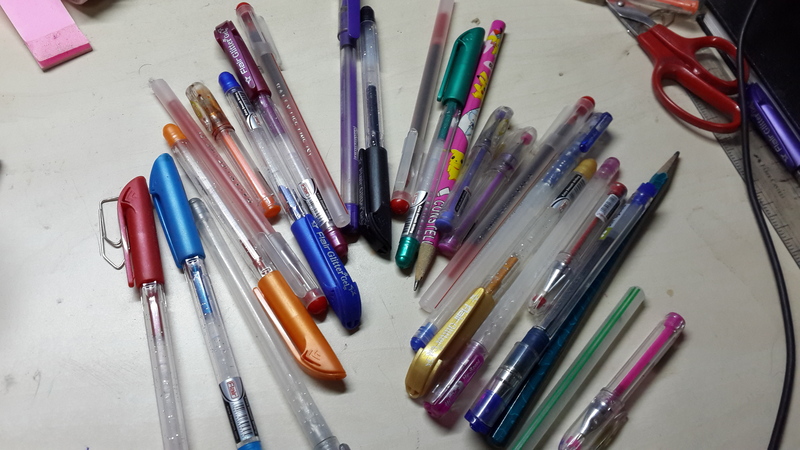 You try to pick up a pen to write, it falls, your hand shakes too much. The air seems too suffocating so you move to the balcony. Cool winds hit your face. Life moves on as you remain frozen, watching quietly. That pace irritates you. Those pills in the cupboard you werent supposed to take, have become a daily habit now. You get one more and pop it in. You close your eyes. You look around, impatient. Wanting to do something yet not having any strength. There is a subtle change in the people around you. They come closer to you, holding their hands out, protecting you. More people wearing black pour into the room trying to get to you. You tear yourself away. The lamp on the table falls and glass shatters. You get down on your knees trying to scream but no voice comes out. Swords are slashing as the people in black come closer and closer to you. You try to crawl on the glass, hurting your wrists but it doesn’t work. They are pulling them towards you. A black door opens while you are dragged on the floor. You hold on to the lamp because the wire pulls you back. Blood soaks your sleeves and tears blind your eyes. You resist so hard. And it doesn’t work. Yet again! You knock against the furniture, holding on to anything that will make you stay. There are more voices, telling you what to do, how to break free. But why don’t they come and help you? You feel pain and more pain as the lamp cuts through. The door approaches closer and finally you are lifted and thrown into a deep bottomless pit. You open your eyes and find yourself in the same place you were before. Those voices, they scare people, they scare you. You wonder how long this will last, how many times before they throw you like a rag doll. Yes, it’s a war. In Your Head. I had the chance to plan BIG for my parents this year for their 25th Anniversary. I thought of the time that they had spent together and how often they let go of their own time, to help us with our problems. Also, many times the places we finally ended up visiting were those which we picked or that someone else recommended. I realized how much my parents had done for me all these years. 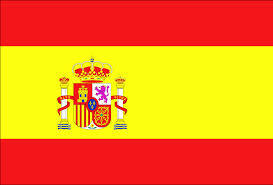 Finally I decided on Spain!!! 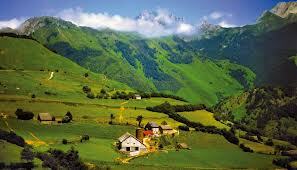 Exotic and Beautiful Spain!! It was some place my mother had been wanting to go for ages!! But selecting the destination was only half of the pressure. I had to select hotels, check locations and then check the costing. All in the while, this made me want to Travel Solo!! While with inflation and costing worries on my mind, I turned to freelance work to supplement my income and I was delighted at the turn my life took. I started reading and reviewing books by independent authors and this opened my life to myriad possibilities. It also made me dream of travelling solo, across different countries. I find many different places to visit every day online and looking at those photos and reading about a new country, a new city and a new culture only make me feel so excited. 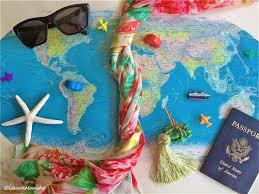 It makes me wish I had millions in my bank account so I could travel everyday! I can’t really define what makes travelling so special for me. I do not enjoy packing (=well who does?) and airplane journeys aren’t the best. Neither have I had trips with friends like films (=even though I so badly want to). But planning this trip made me dream. It sparked a flame inside me, to go on a trek, to visit a different place with a group of totally unknown people and make friends for life!! While we do our fair share of travelling in our cities and philosophically, we do travel through life, solo, but going to visit a new place, interacting with new people and having new experiences has a different flavor altogether. You suddenly have more experiences to talk about. Even if you haven’t been lucky to travel abroad, do save up for it because believe me, there are so many stunning sights you have never even imagined. 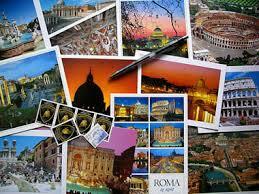 I have a bucket list of 1000 different places where I want to go and sights I want to see!! The sky is the limit when you travel. You are so out of your comfort zone that you adapt and learn! Being a foodie myself, a trip offers chances to taste new cuisine. I’ve put up my Bucket List and I am going to be an Indi-Traveller, travelling on my own, discovering new sights and secrets!!! As I take a deep breath in, I can’t wait to put my best foot forward and fly solo. The world is my diary!! And it waits! !